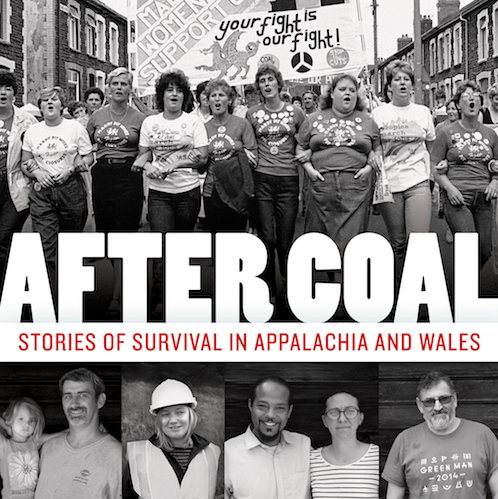 Please join Buboys and Poets Books as we welcome award-winning documentary filmmaker Tom Hansell to talk about his new book After Coal. Told through interviews and photographs collected during the making of Tom's documentary film, the book approaches the transition from coal as an opportunity for marginalized people around the world to work toward safer and more egalitarian futures. Central Appalachia and south Wales were built to extract coal and faced with coal’s decline, both regions have experienced economic depression, labor unrest, and out-migration. After Coal focuses on coalfield residents who chose not to leave, but instead remained in their communities and worked to build a diverse and sustainable economy. It tells the story of four decades of exchange between two mining communities on opposite sides of the Atlantic, and profiles individuals and organizations that are undertaking the critical work of regeneration. Joining Tom Hansell in discussion at this event will be members from Higher Ground in Harlan County, Mary Anne Hitt (Sierra Club) and Elizabeth Catte (author of What You Are Getting Wrong About Appalachia and co-editor of 55 Strong: Inside the West Virginia Teachers’ Strike). Higher Ground in Harlan Country is a community arts organization based in Harlan County, Kentucky. Now in its 15th year, Higher Ground has worked with community members and visiting artists to create photography exhibits, tile mosaics, and plays. Each of these projects rely heavily on oral histories collected by Harlan Countians and about Harlan Countians. Higher Ground is a project of the Appalachian Program at Southeast Kentucky Community and Technical College. Teaching for Change provides teachers and parents with the tools to create schools where students learn to read, write and change the world. Teaching for Change operates from the belief that schools can provide students the skills, knowledge and inspiration to be citizens and architects of a better world — or they can fortify the status quo. By drawing direct connections to real world issues, Teaching for Change encourages teachers and students to question and re-think the world inside and outside their classrooms, build a more equitable, multicultural society, and become active global citizens. West Virginia University Press is the only university press, and the largest publisher of any kind, in the state of West Virginia. A part of West Virginia University, it publishes books and scholarly journals by authors around the world, with a particular emphasis on Appalachian studies, higher education, and interdisciplinary books about energy and environment. WVU Press also publishes highly regarded works of fiction and creative nonfiction. The Heinrich Böll Stiftung North America, based in Washington, DC, is a political foundation affiliated with the Green Party of Germany. As a political foundation it acts as a catalyst for green visions and projects, a think tank for policy reform, and an international network. As a 501(c)(3) organization, the Heinrich Böll Stiftung promotes policy reform and political dialogue in its program areas through publications, public seminars, conferences, workshops, study tours and visitor programs. The foundation seeks to advance democracy and human rights, protect the environment and climate, and promote the peaceful resolution of conflicts, and also places particular emphasis on gender democracy, meaning social emancipation and equal rights for women and LGBTI communities.